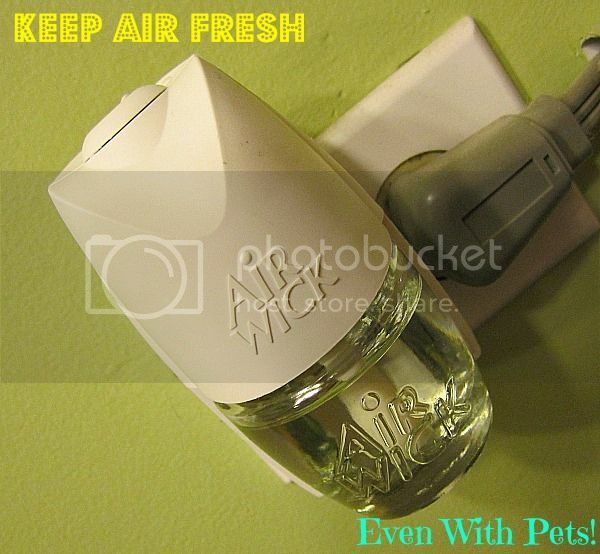 This is a Sponsored post written by me on behalf of Air Wick for IZEA. All opinions are 100% mine. Keeping the air fresh in our home is a challenge with two dogs. Our rescue dogs really know how to stink up a joint. We were excited to be able to try out scented Airwick products. Ocean Spray & Sparkling Sea Minerals – available exclusively at Sam’s Club. Bright Citrus Splash – available exclusively at Sam’s Club. I thought I was excited when this huge box arrived, but Mike looked like it was Christmas morning. He had to open every single scent to sniff them out. He then strategically placed them throughout the house where he thought the scents fit best. One immediate difference I noticed were the glass containers that the scents are in. That alone makes them look like a higher quality item. The warmer units are noticeably stronger, too. Mike plugged them in and put them all on full blast. Within minutes I was in sensory-overload and we had to turn them down! That’s a huge difference from not even smelling the last ones. Big improvement! My favorite scent of all was the Bright Citrus Splash, with Ocean Spray with Sea Minerals following as a close second. Since we installed these products everyone who has come in our house has said it smelled good! They instantly sniff and say “Oooh, what smells so good?”. Love that! Save bigtime by purchasing your AirWick products from Sam’s Club! You definitely get more for your money by buying their kits. How do you keep the air fresh in your home? I love AirWick products! I especially like them near our diaper bin. Those scents sound lovely. I like a fresh smelling home too and am always on the lookout for the best way to make it smell nice. We don’t have pets now but I remember when we did how much tougher it was. I have a large can of lysol I spray everywhere to keep the air fresh in our home, but I love the Air Wick Fresheners too. 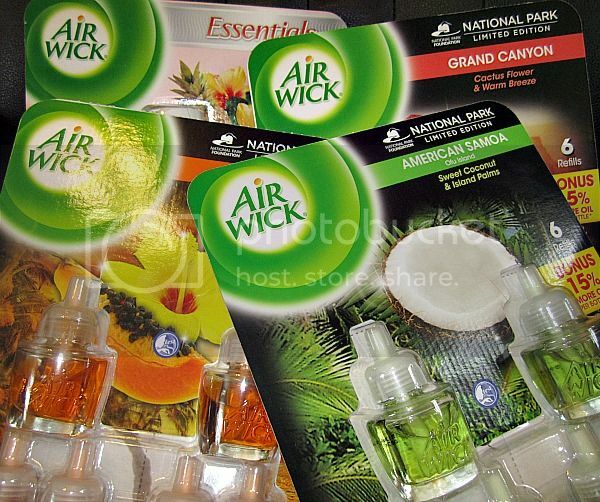 I love AirWick & have several of their products in my home as we speak! I love AirWick scented oils! They’re the only ones I buy!! I actually just got some of these today and can’t wait to try them out! I love some of the AirWick scents. These come in handy for the bathroom.